Best-Selling author Airicka Phoenix lives in rainy British Columbia with her beautiful family. When she's not pounding away at the keyboard, she can be found reading, shining her collection of daggers or chilling with her kids. She is the author of the Touch Saga, The Sons of Judgment Saga, The Lost Girl Series, and Games of Fire. 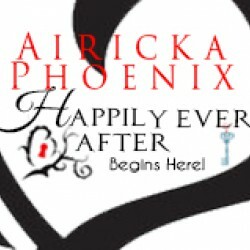 Airicka also writes adult paranormal & contemporary romance under her alter ego, Morgana Phoenix. Her first novel, Capture Me, will be out 2014.